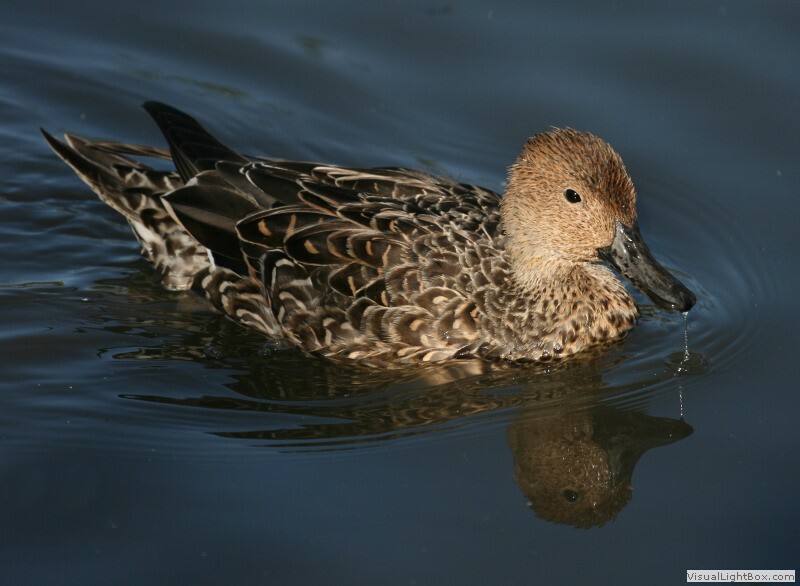 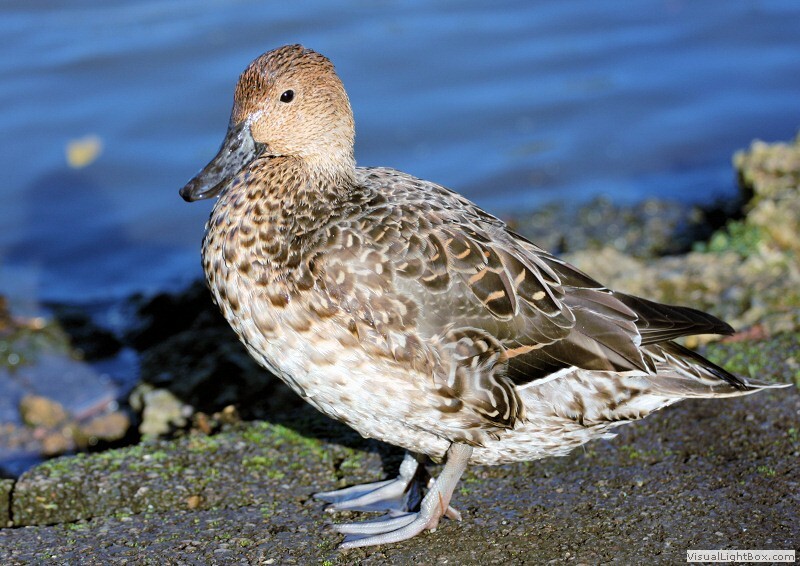 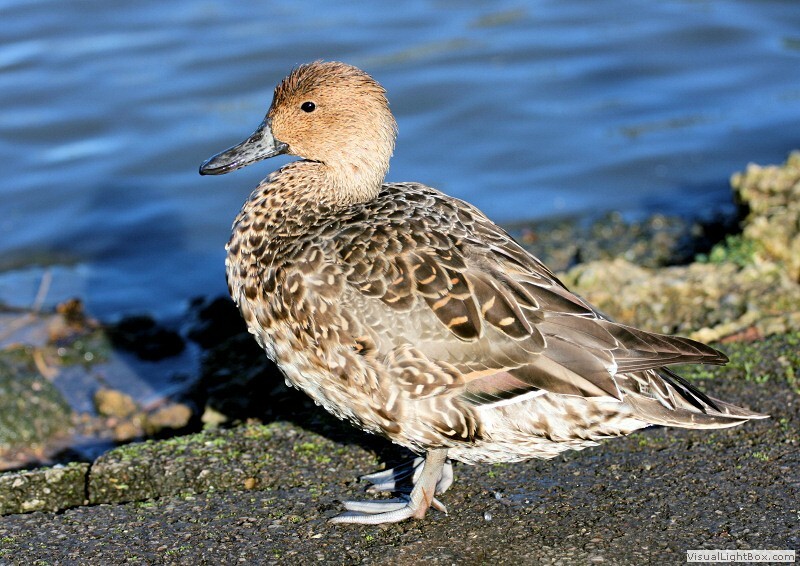 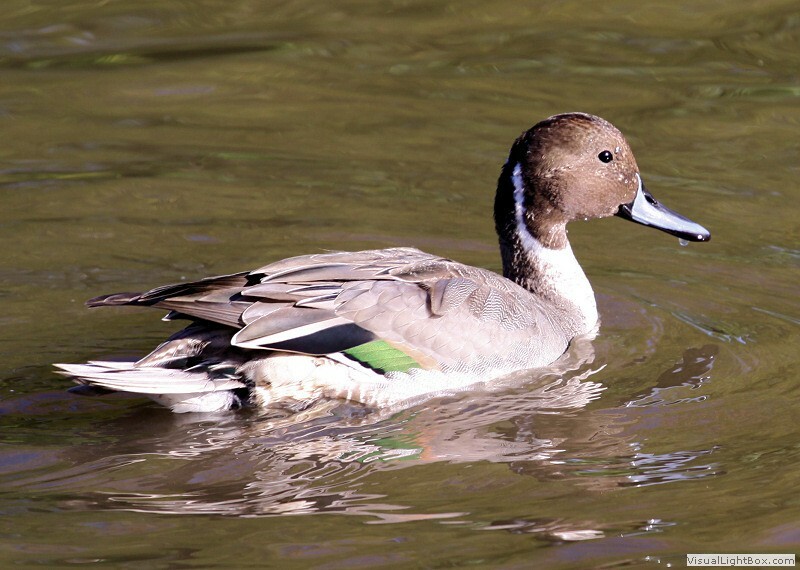 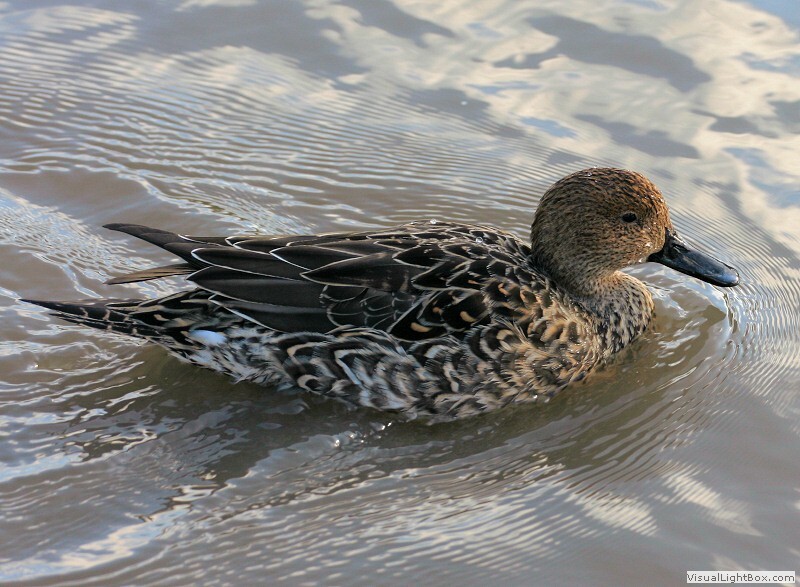 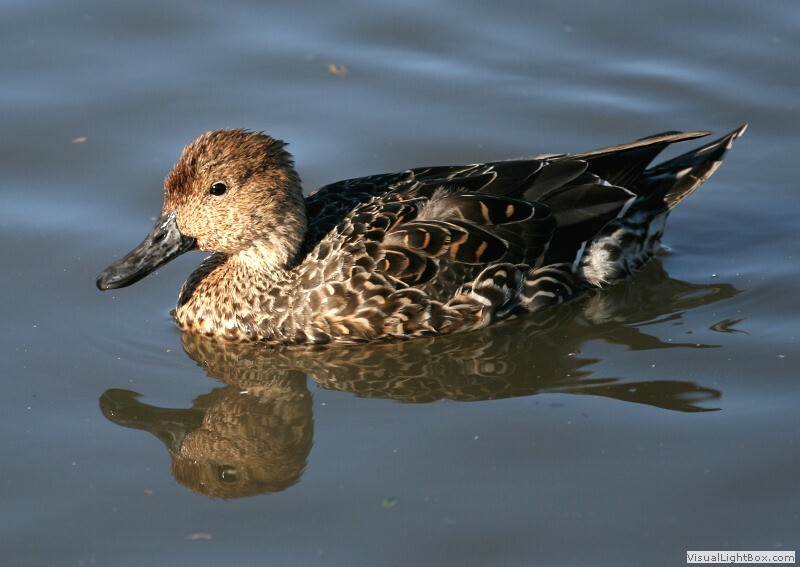 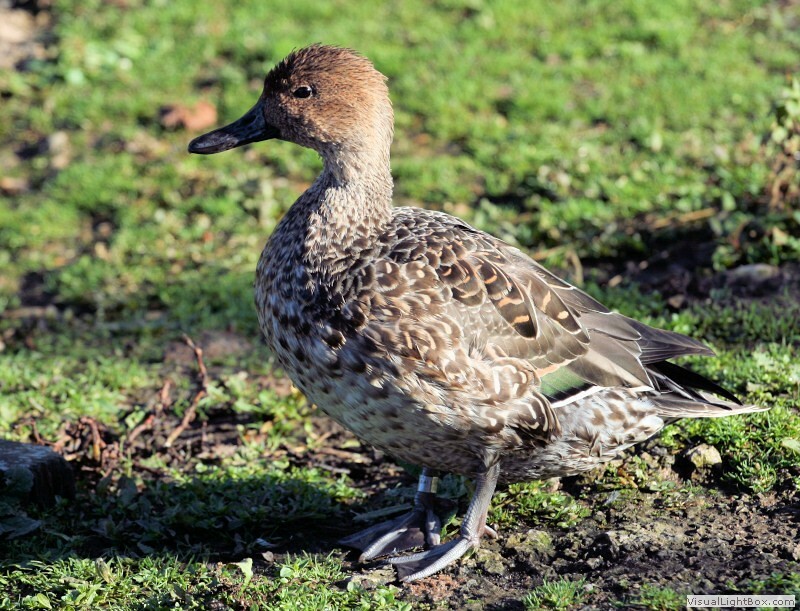 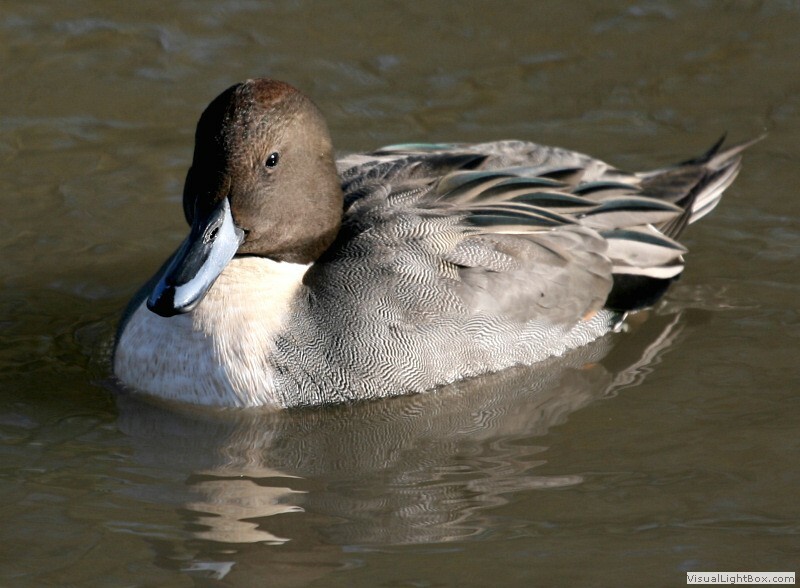 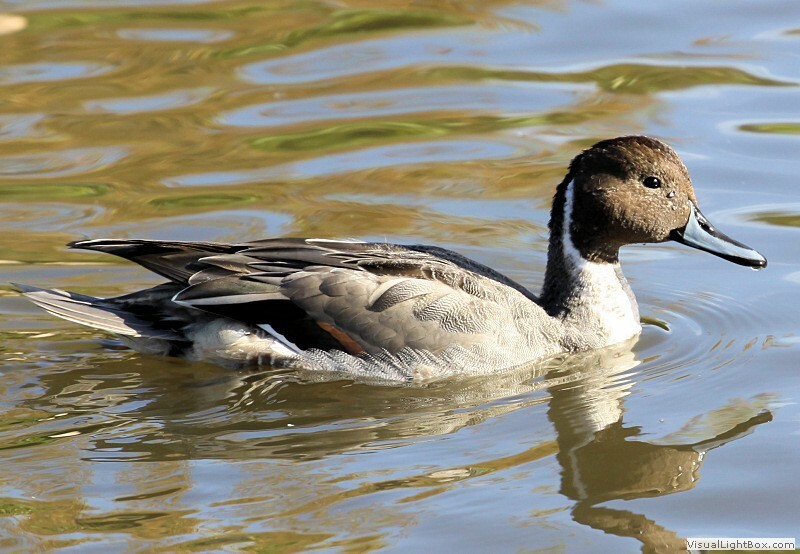 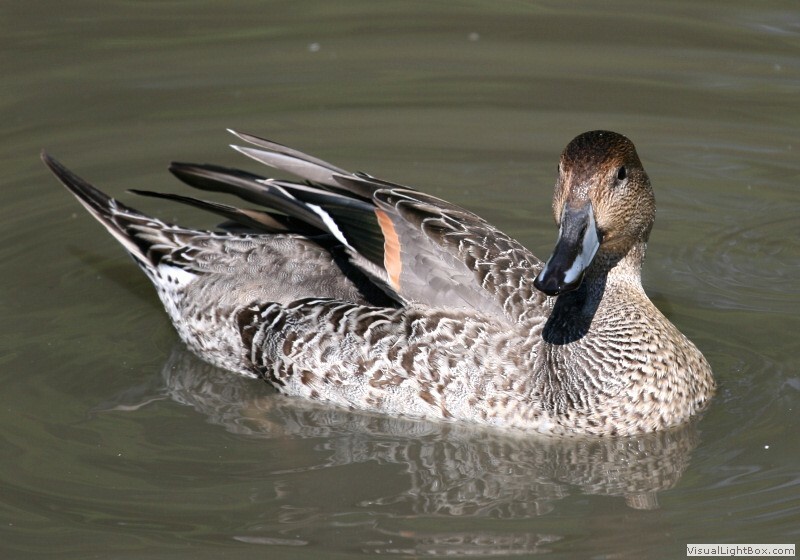 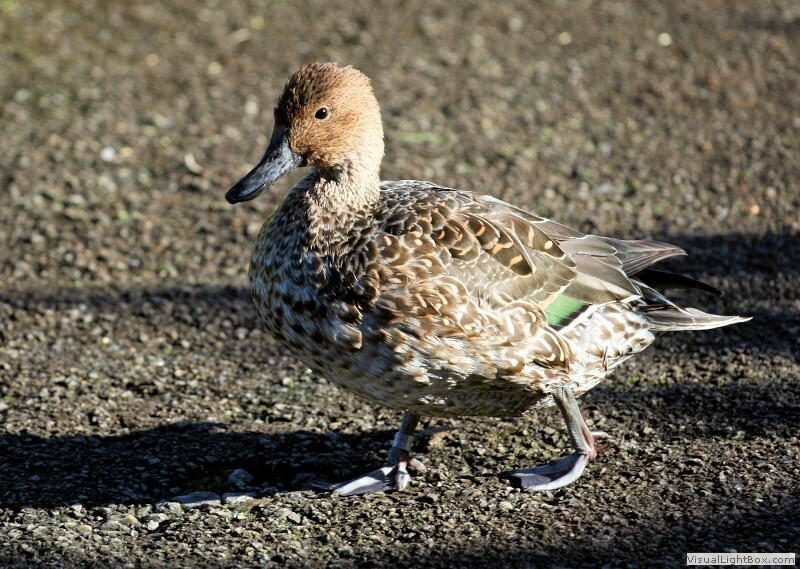 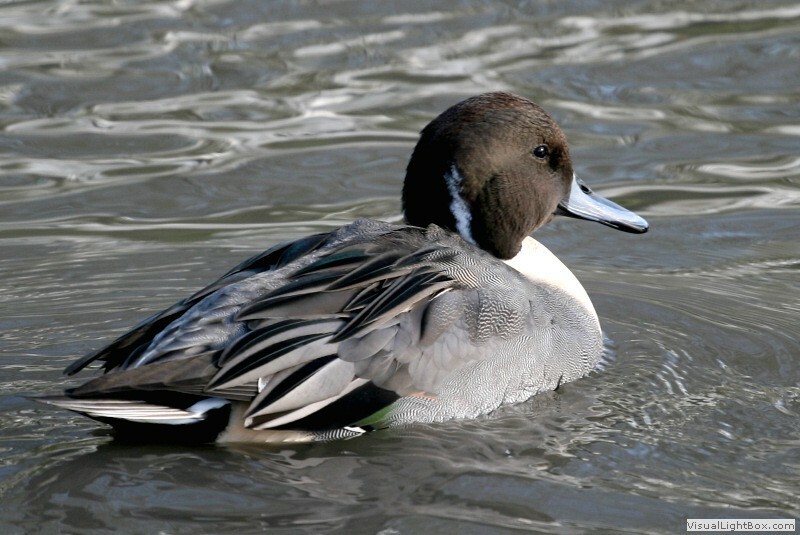 Identify Northern Pintail - Duck - Wildfowl Photography. 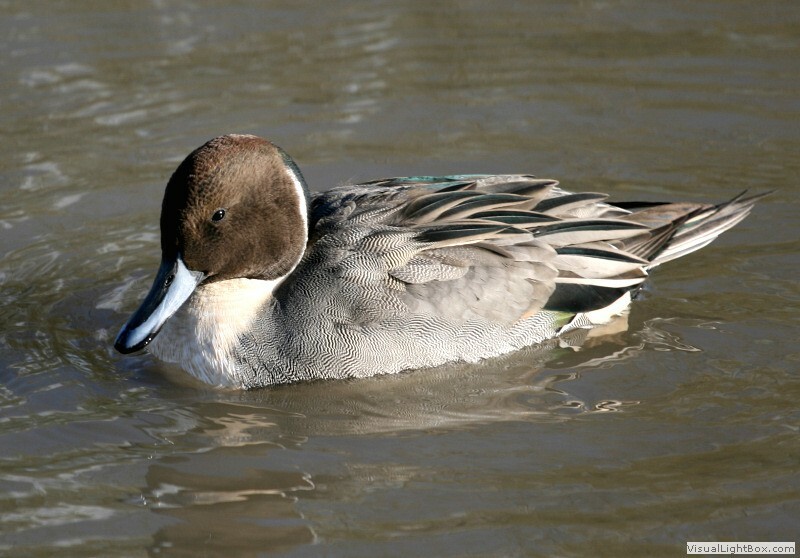 Male - The male Northern Pintail has a chocolate-brown head, throat and hind-neck, white on the breast which extends up along side of neck, white belly, greyish flanks and uppersides with elongated grey feathers with black central stripes on back, a long pointed black tail, silver-blue beak with black stripe, and blue-grey legs. 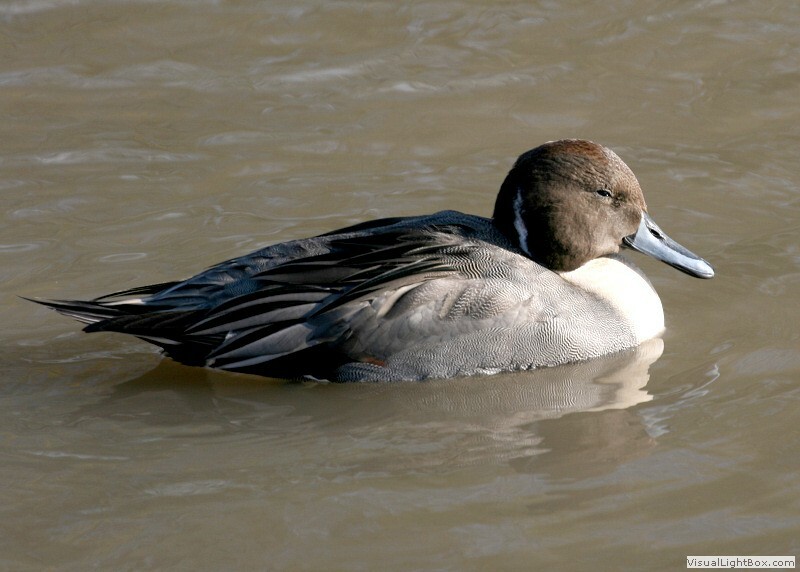 Female - The female is a mottled brown with a grey-brown head, shorter tail but the same distinctive long beak which is duller in colour. 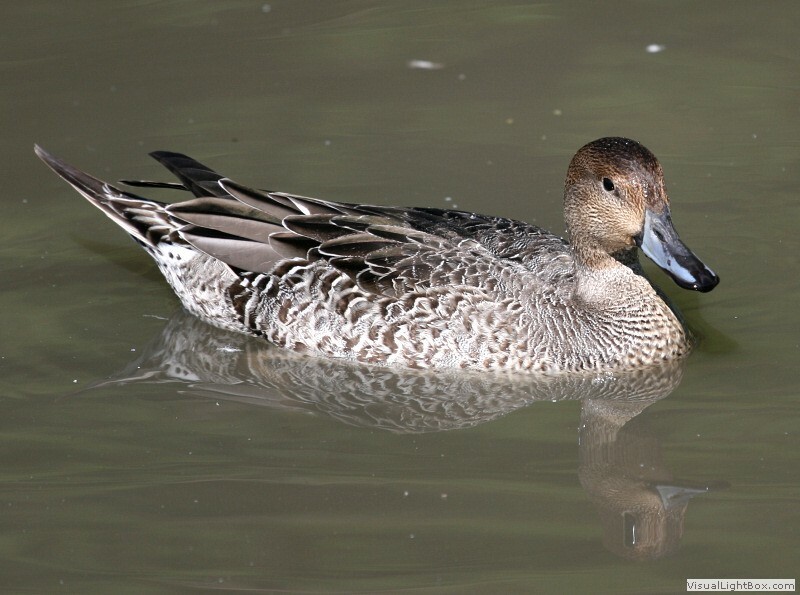 Eclipse - The male in eclipse plumage is similar to the female but has elongated grey tertial feathers, retains its wing pattern, and the beak remains a bright silver-blue with black stripe down the middle. 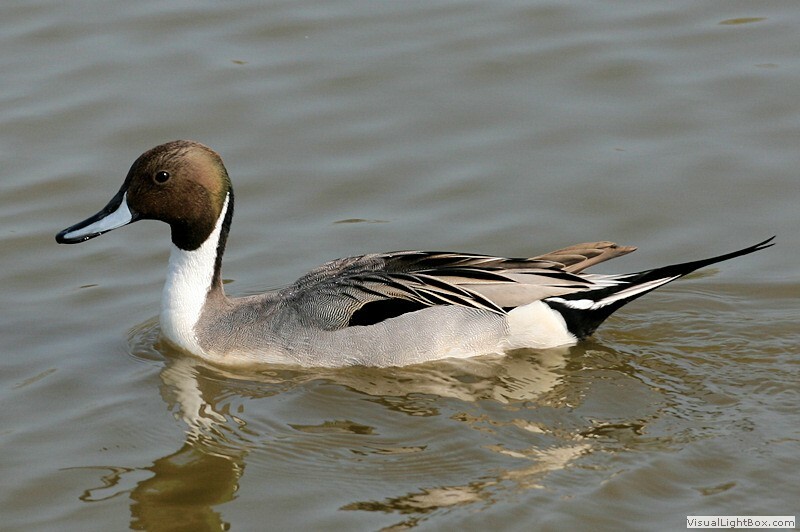 Size: - Typical Adult is 59-76cm (23-30in). 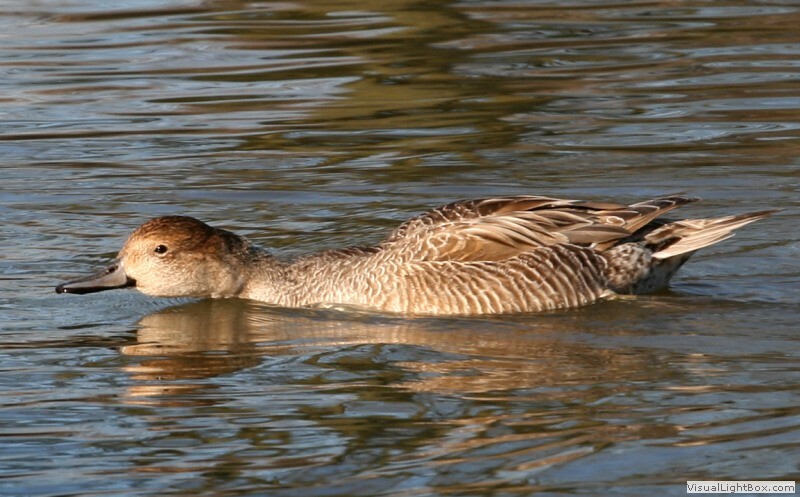 Food: - Aquatic plants, seeds, sedges, pondweed, molluscs, crustaceans, and some aquatic insects. 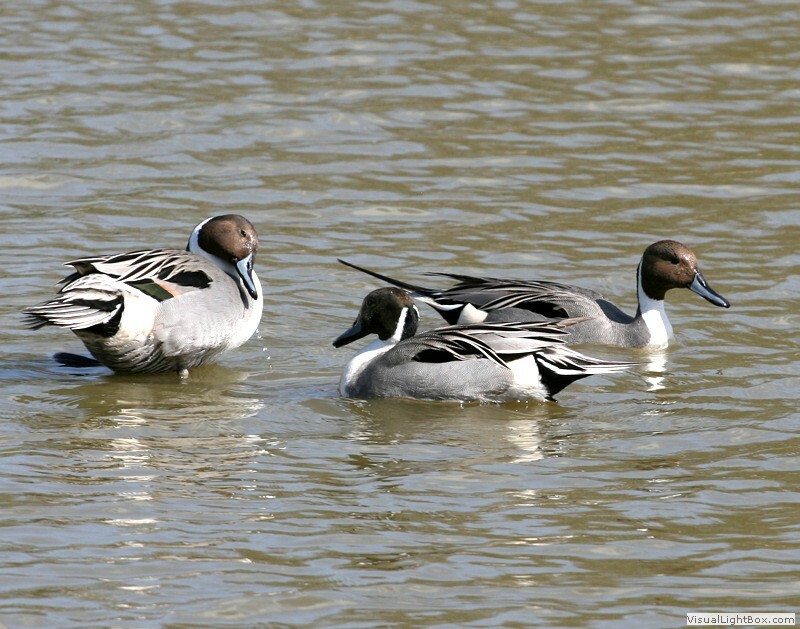 Habitat/Range: - Open wetlands, wet grasslands, lakesides, or tundra. 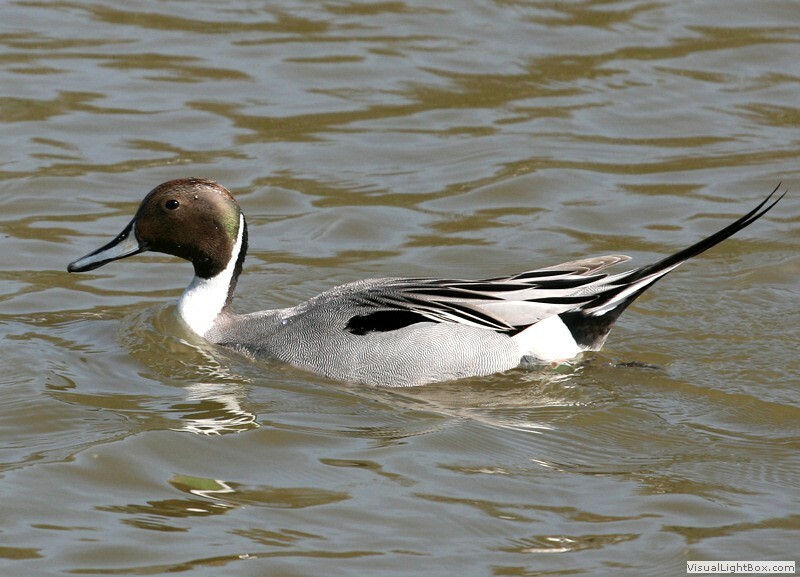 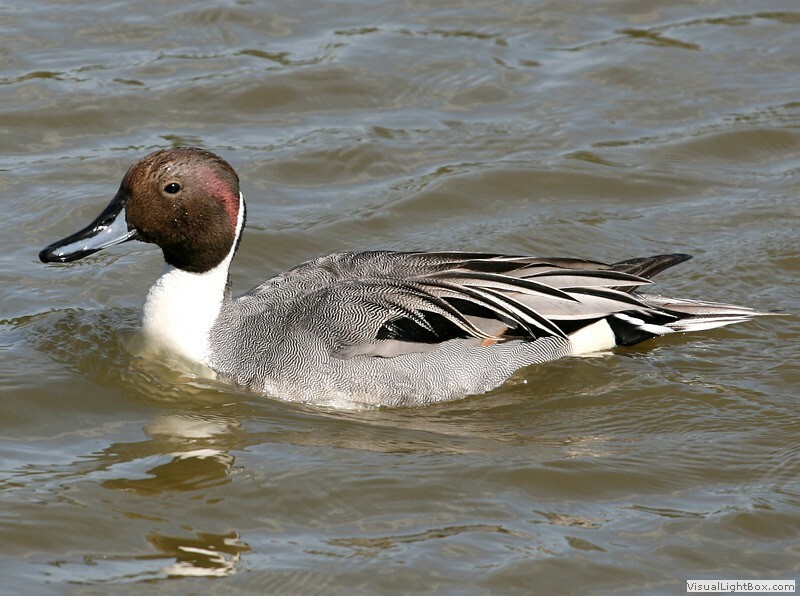 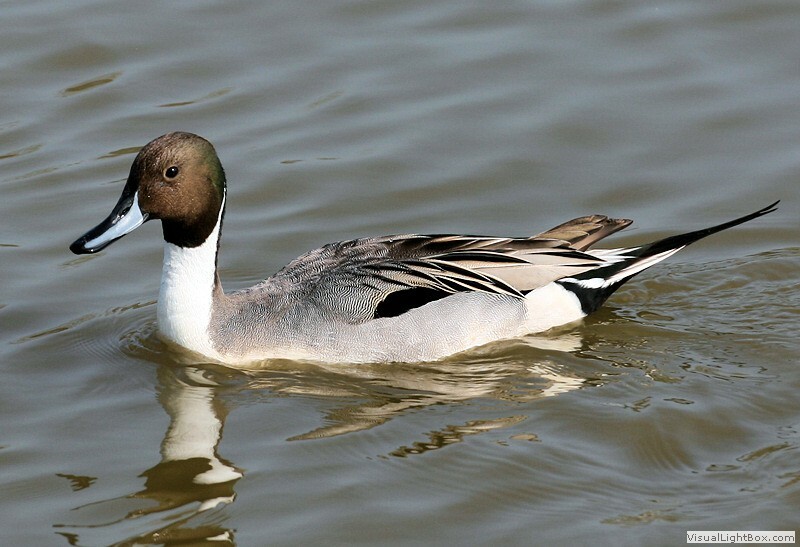 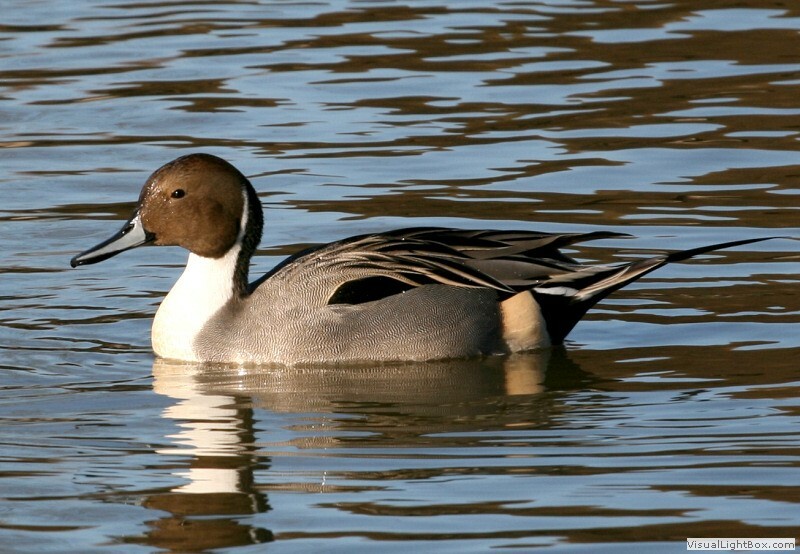 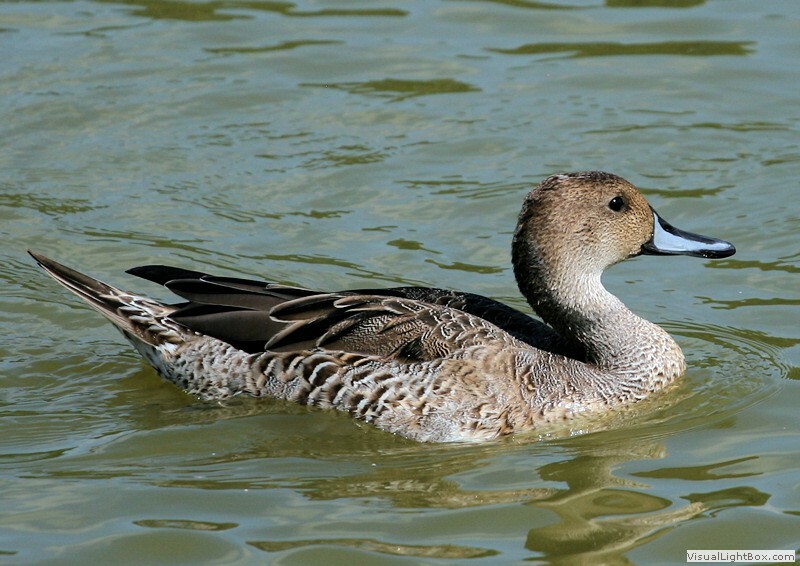 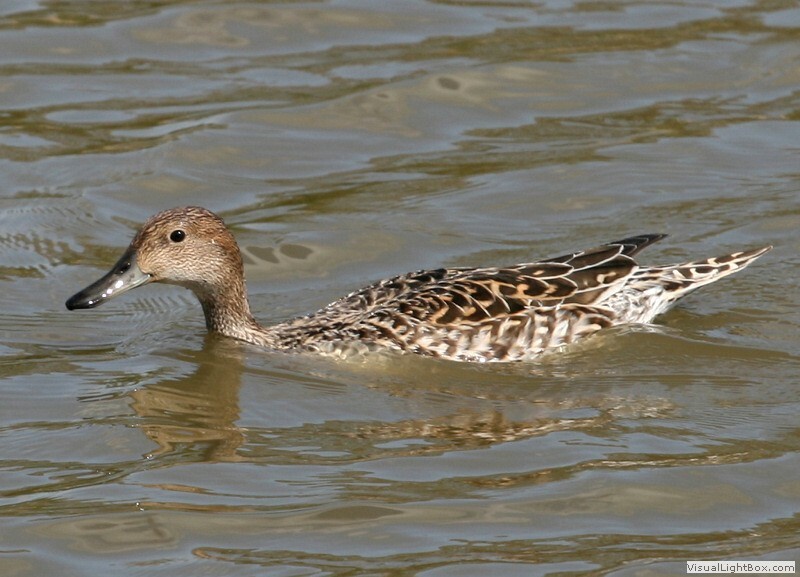 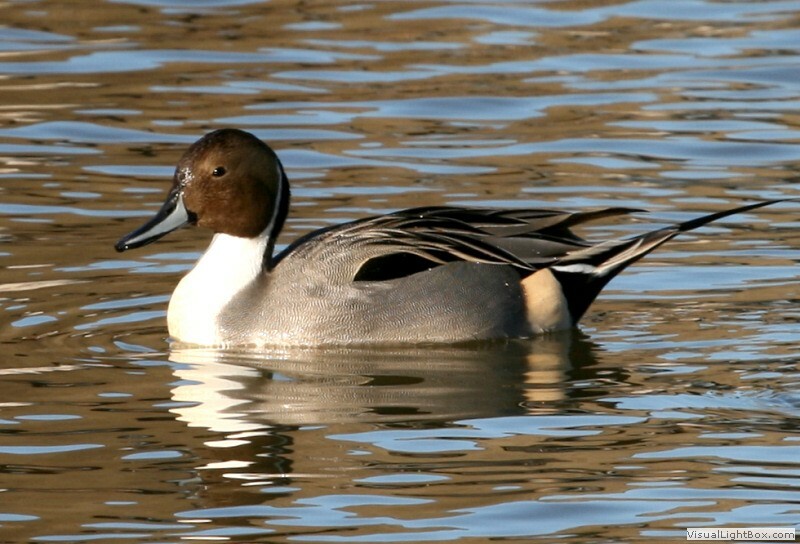 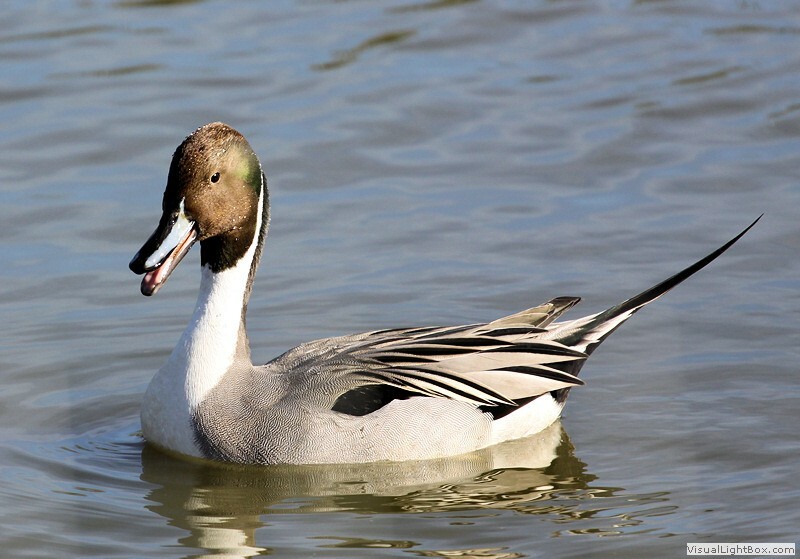 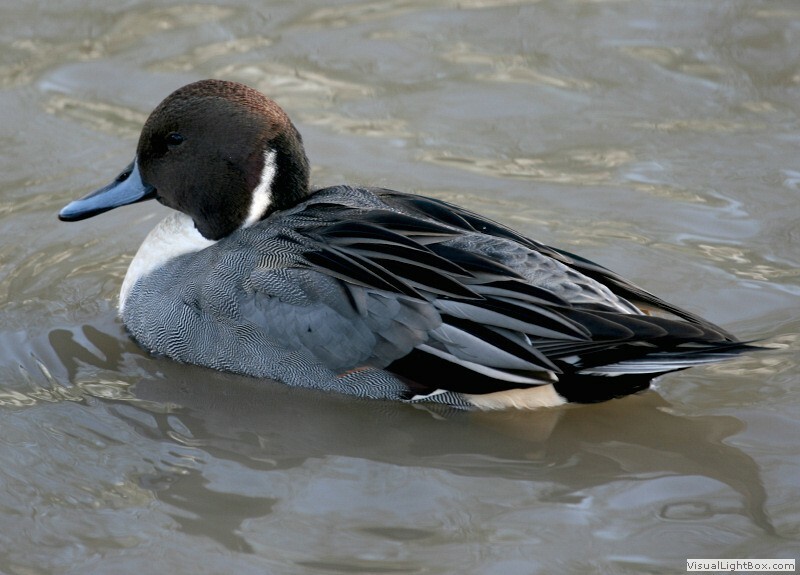 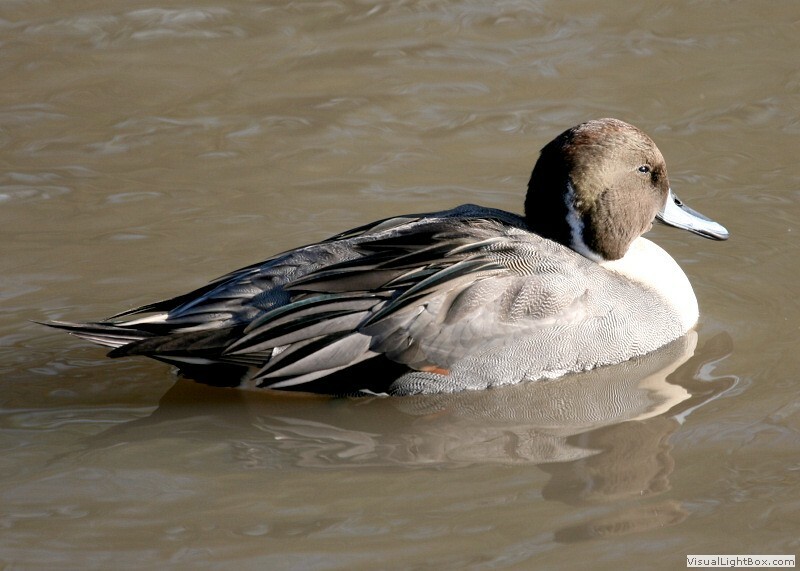 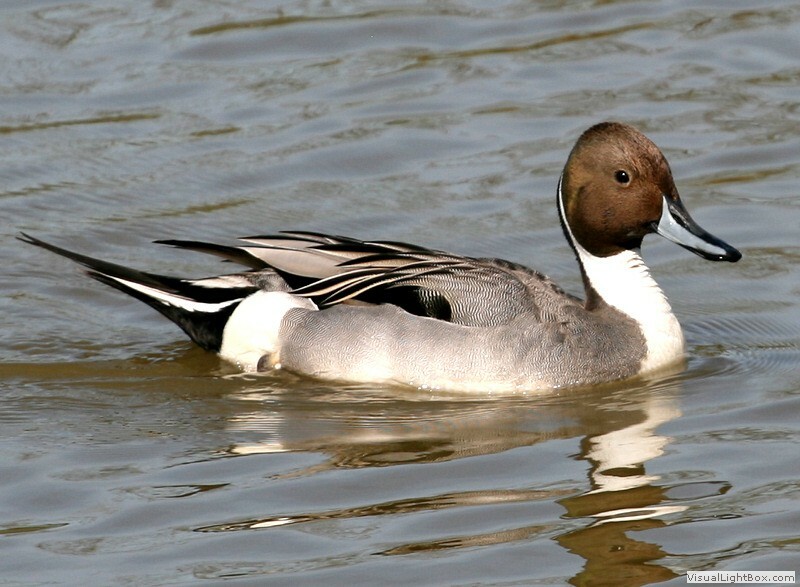 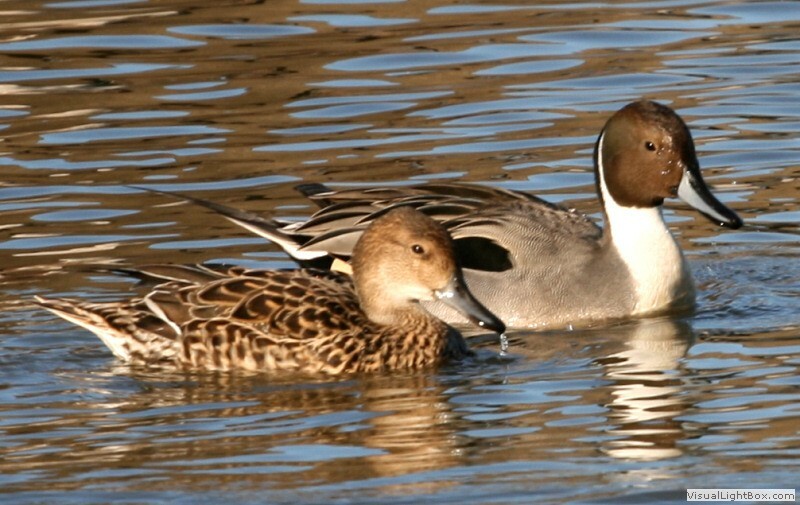 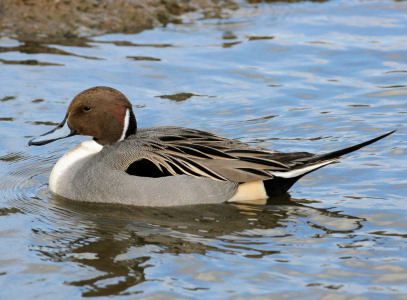 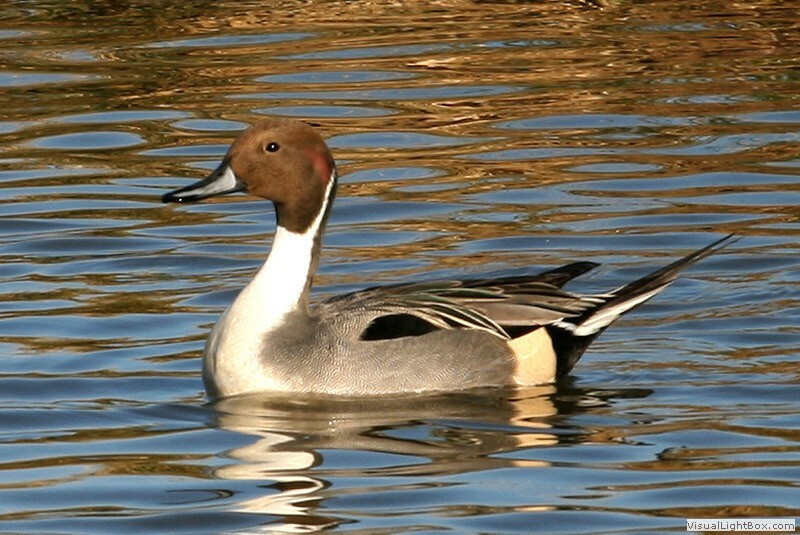 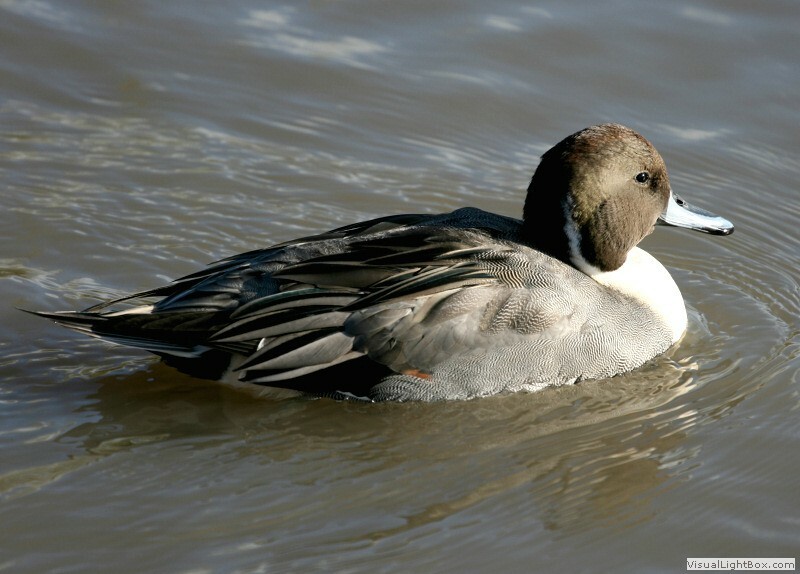 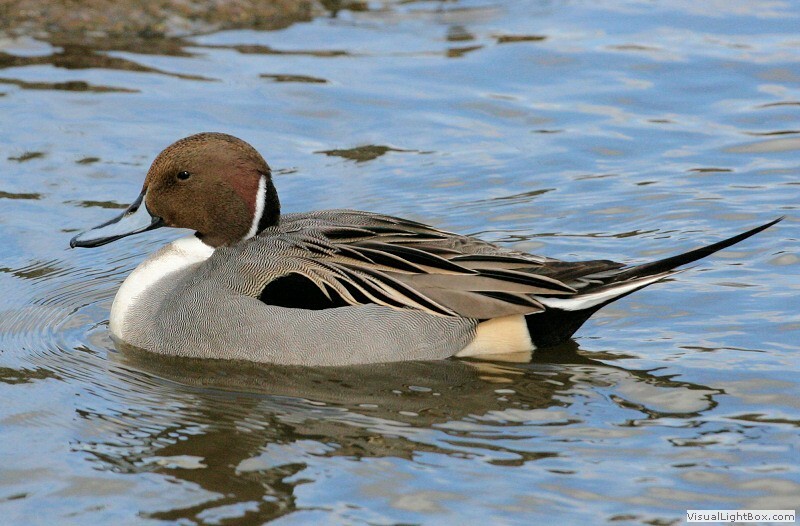 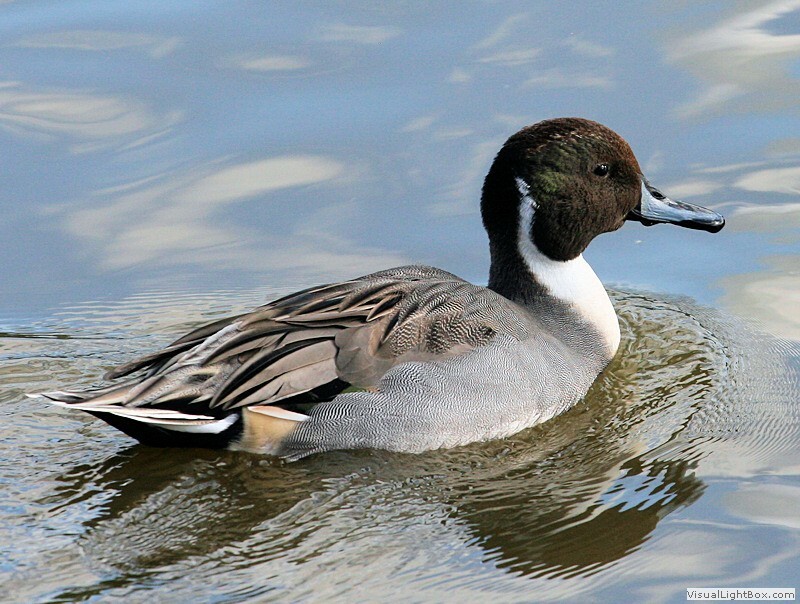 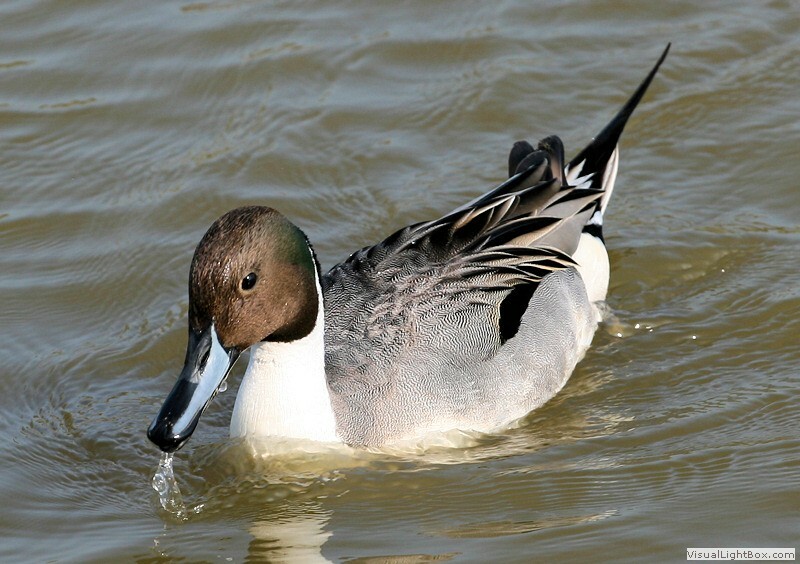 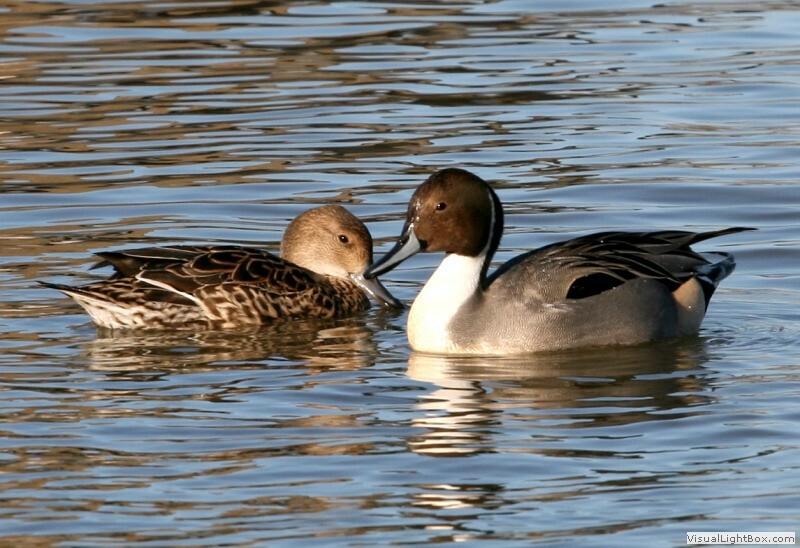 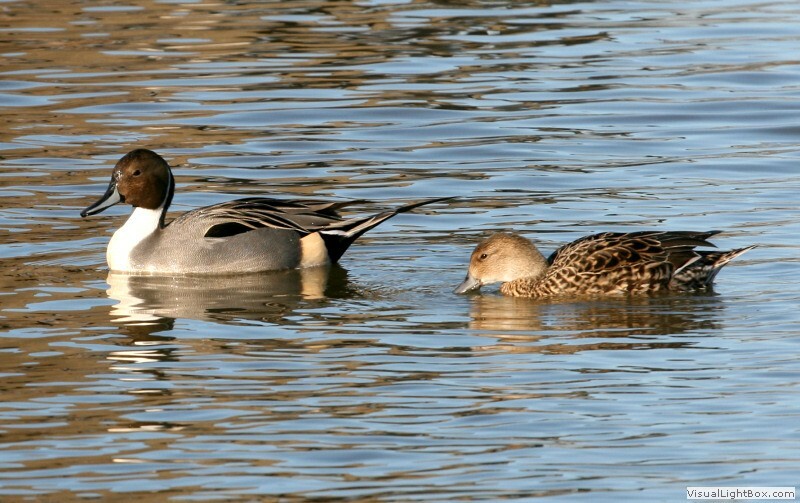 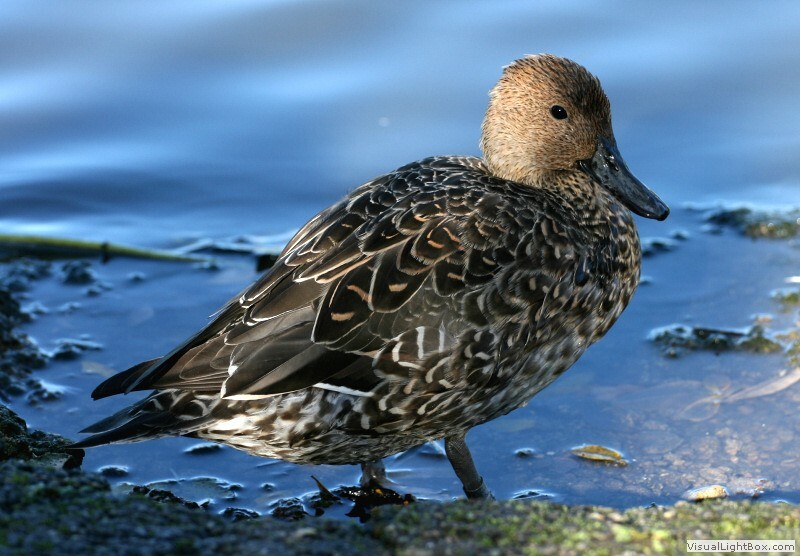 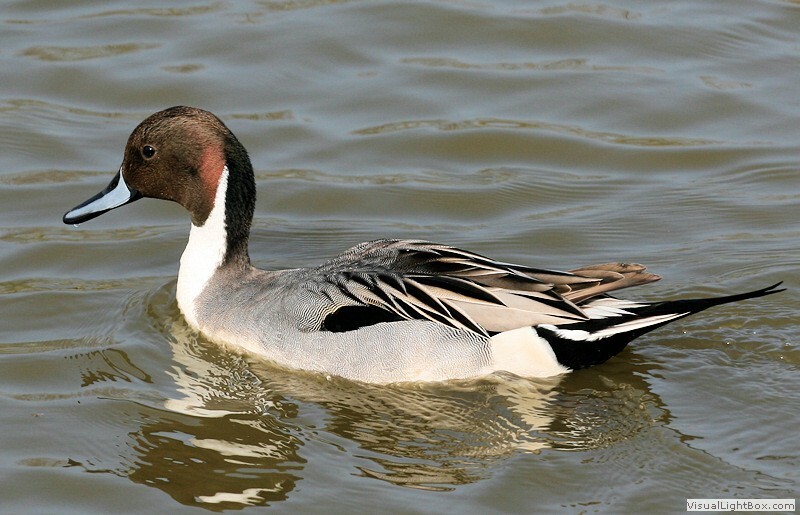 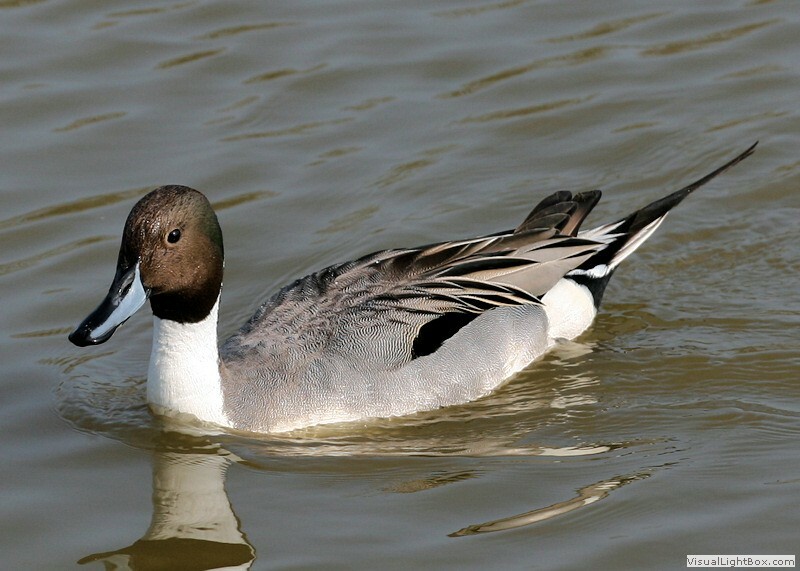 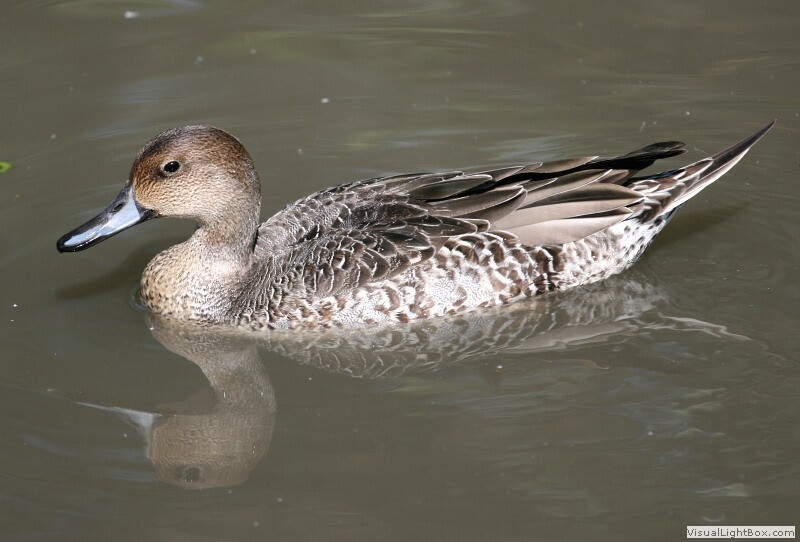 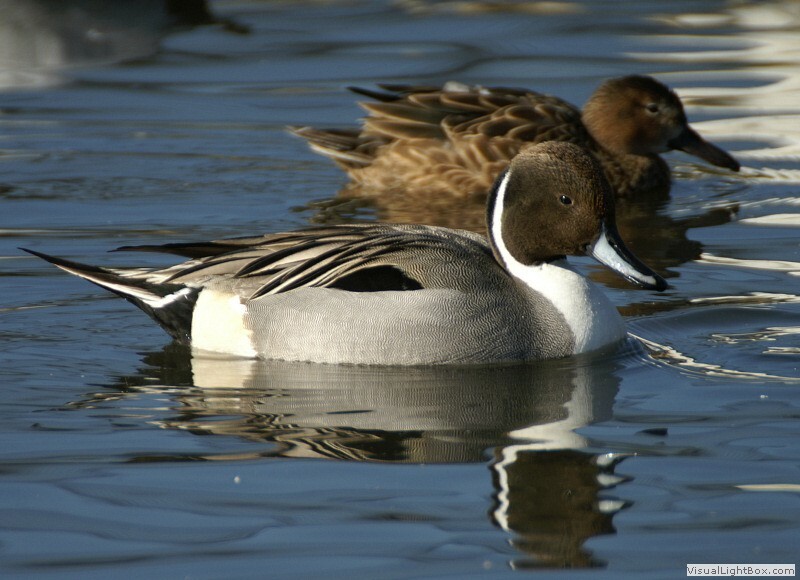 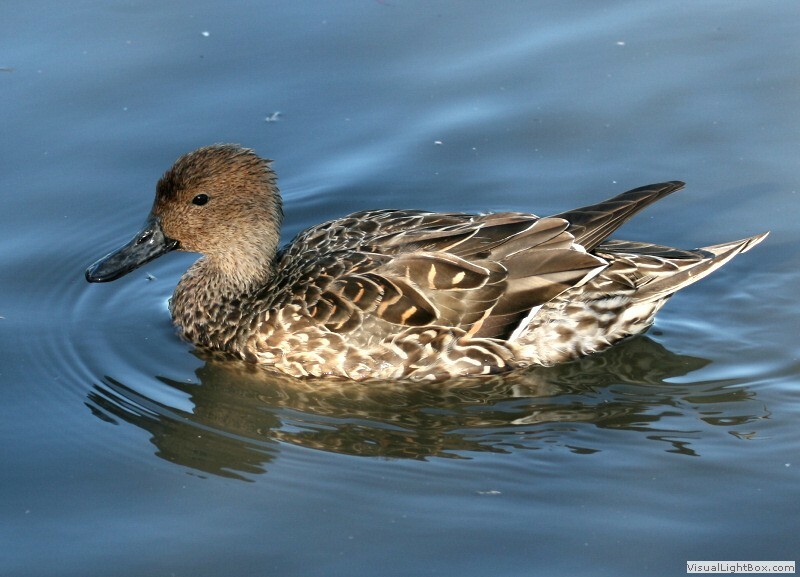 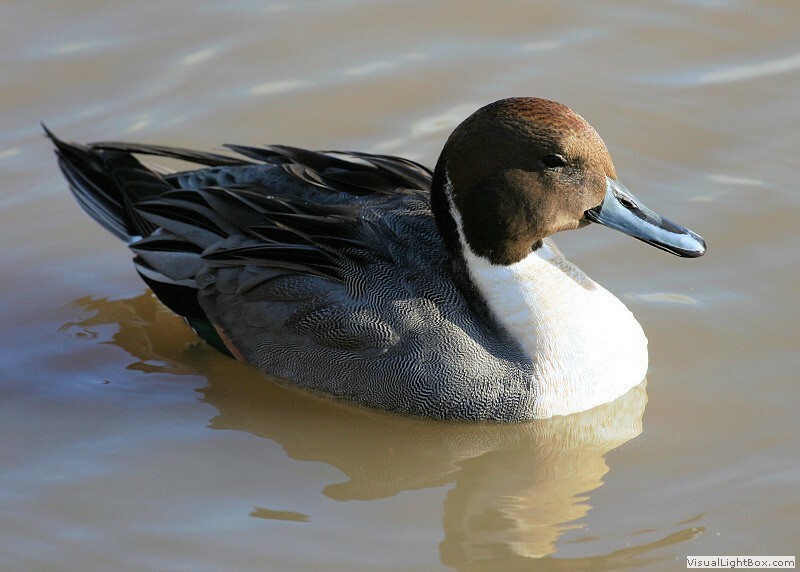 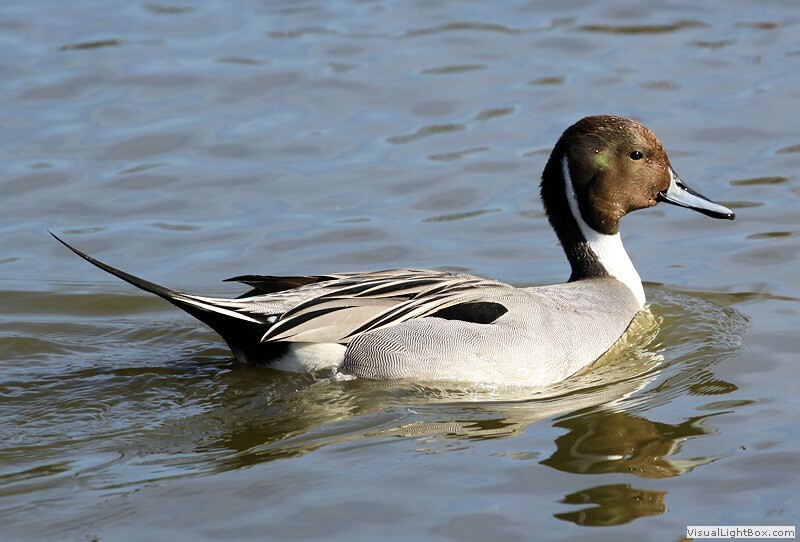 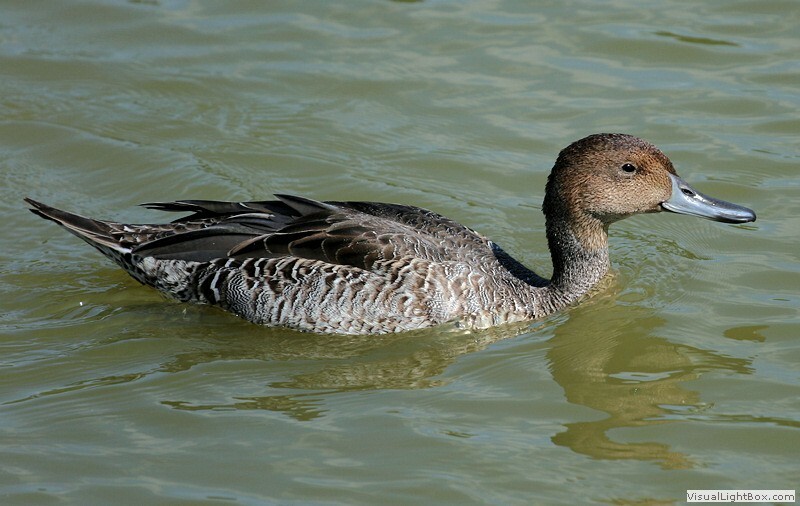 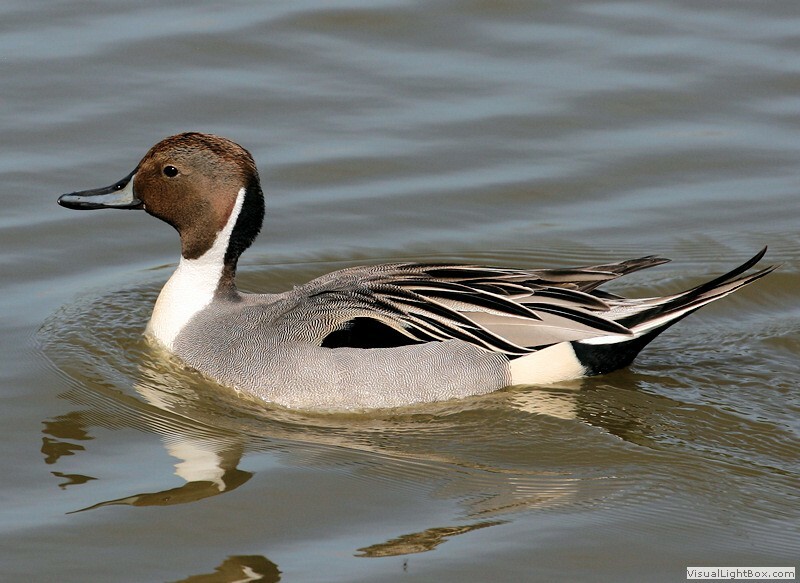 The Northern Pintail is widespread in North America, Europe, and Asia. 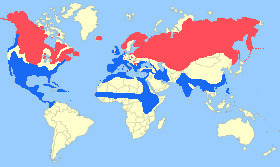 It winters further south in the USA, Mexico, Central America, western Europe, Africa and southern Asia. 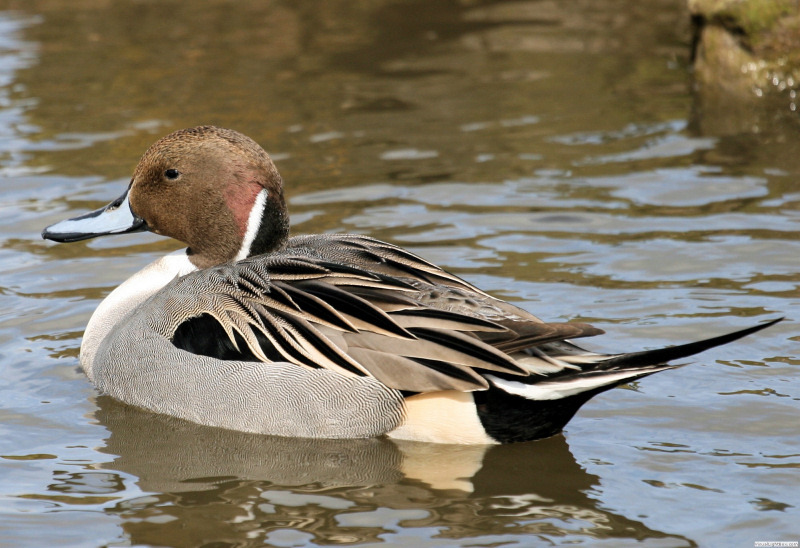 Breeding Season: - April to June. 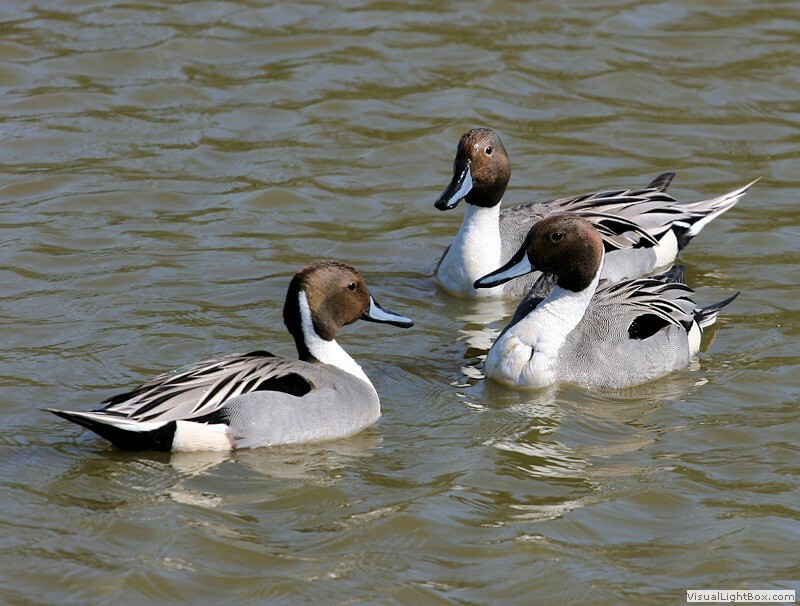 Eggs: - 7 to 9 (creamy-white colour). 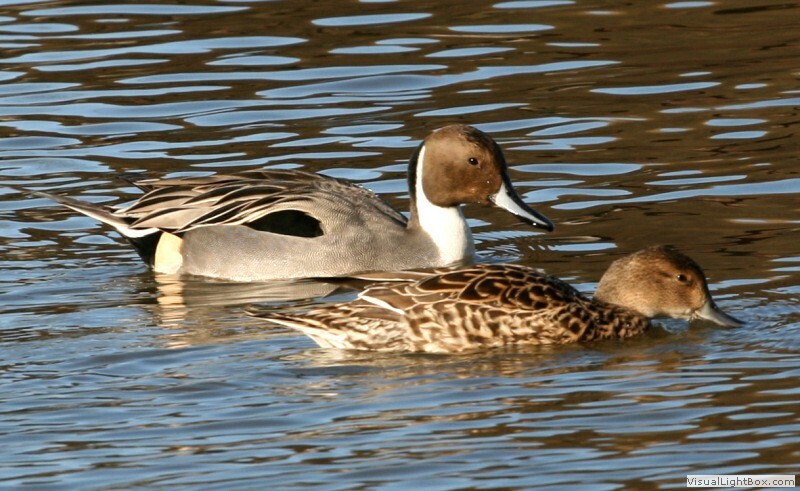 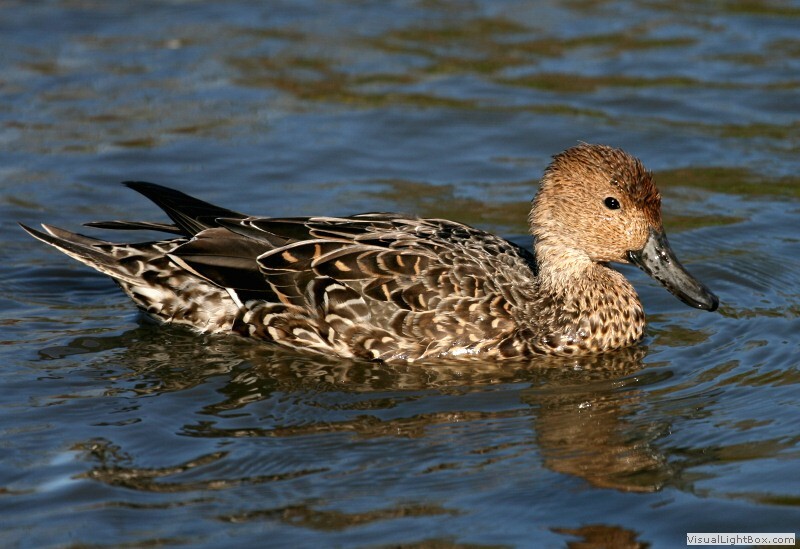 Notes: - The Northern Pintail is one of the most common ducks in the northern hemisphere. 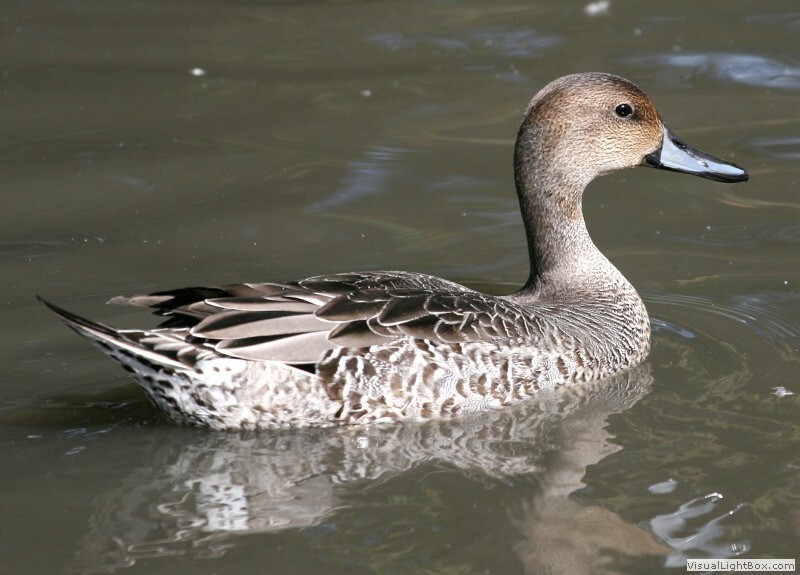 This large dabbling duck has a long neck which allows them to reach further into deep water for their food when up-ending. 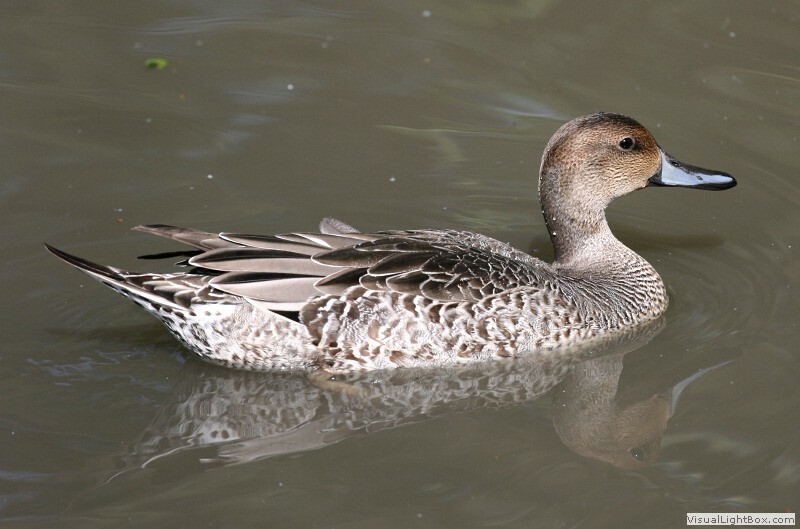 It usually feeds in the evening or night and spends much of the day resting.